Finding a restricted telephone only for people suffering from Alzheimer’s and Dementia can be challenging, but we think we have the answer. For most people suffering from Alzheimer's and Dementia having a telephone is a lifeline, however many often call numbers by mistake, and call expensive numbers like 118, 123 Specking Clock, 0871, 0844, and 0870 numbers, and do not have the capacity to understand or remember the volumes of calls made and the cost. Simple Telecoms has developed a new very restricted telephone service specifically to prevent excessive calls, no big bills, and NO access to expensive numbers. We offer three fixed price monthly call plans to pick from. Just a 30-day rolling contract - We believe the quality of our Simple Call Guardian Protect phone service for the elderly should be a simple a possible, and as such, we don't tie you into any long-term contracts. Our Simple Call Guardian Protect phone service is provided on a monthly 30-day rolling contract,and can be cancelled with just 30* days' notice, or instantly if needed. There are NO extra disconnection fees. Our new telephone service has been tested with the SureSafe 24/7 monitored personal alarm service. The SureSafe service offers 24 hours a day, 365 days a year peace of mind and security for those who want to remain living independently in their homes - safer and for longer. Offering the broadest range of alarms in the UK, SureSafe has alarms to suit nearly every need and circumstance. With a range that includes options for automatic fall detection, talking pendants and fully mobile alarms, you can feel confident that you are in safe hands with SureSafe. Other personal alarm services are not supported unless they use a UK Local or National telephone number for access. If you are unsure, please contact your personal alarm company. Click here for more informatiom on SureSafe monitored personal alarm service. TalkTalk, EE, Vodafone and Sky lines use LLU/MPF providers, who run their own network and deliver entirely their own services to end users (i.e. they are not simply reselling BT Wholesale service), and are not connected directly to the main Openreach telephone network. Just click the tabs below for more information and cost for our different call plans for our telephone only service for people suffering from Alzheimer’s and Dementia. The monthly rental includes all calls 24/7 withNO extra call charges. No access to call divert,Ringback,Call Waiting services. Level 2 - Included in the line rental. Speed dials offer quick access to your most called numbers and are not pre-set on the telephone itself, meaning you can change the speed dials at any point, or even change the telephone at any point without the need to reprogram lengthy telephone number back in to the new telephone. We offer up to 9 speed dials per account. All you need to do is let us know the telephone numbers you would like us to setup for you. You then just need to program your telephone with speed dial number. E.G for speed dial 1 you just need to program *1 in to the memory of the telephone, speed dial 2 would be *2, and so on. We also offer a last number called speed dial. This would be setup as *0, and once pushed would call the last number called. You can change these speed dials at any time by dropping us an email with the number number for the speed dial. 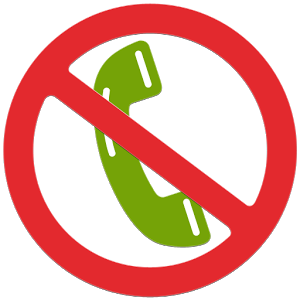 No access to call divert, Ringback, Call Waiting services. *** Included countries landlines only - Australia, Canda, Denmark, France, Germany, Greece, Hungary, Ireland, Italy, Norway, Poland, Portugal, Romania, Spain, Sweden, USA, USA Freephone, USA Great Lakes and USA mobile phones. All prices and payments quoted on this web page includes VAT (based on the current standard Government rate) unless stated otherwise. * Included Calls to numbers beginning with 01,02 & 03 and headline mobile carriers, such as Vodafone, EE, 3, O2 (Telefonica) Vodafone, Orange T-Mobile are covered by charge codes bands FM1, FM3, FM4, FM5 and FM6. Codes that are not specified above are not included in any bundled minutes. **Call Timeout is set to 120 minutes for UK landlines, 60 minutes for UK mobiles and 30 minutes for international calls. After 120/60/30 continues minutes the call will be disconnected. You can hang up and redial to restart the timer. This call timeout cannot be increased, it can be decreased. Calls to 999 emergency services do not have a timeout. *** International landlines only, unless otherwise stated. The service has been tested with SureSafe personal alarm/care services. Other personal alarm services are not supported unless they use a UK Local or National telephone number for access. If you are unsure, please contact your personal alarm company. The Doror 331C was created to make using a telephone as simple as can be. Big buttons on a clear, spacious keypad make dialling easier than ever. Photo memories connects you to your 3 pre-set special people at the simple press of a button. 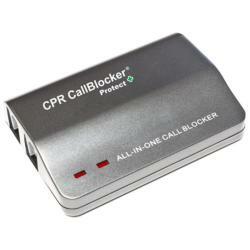 CPR Protect Landline Call Blocker - Blocks All unknown Incoming Calls - Can be sent already programed with your trusted phone numbers - The CPR Protect has been designed To safeguard vulnerable people and those living with Dementia or Alzheimer's.